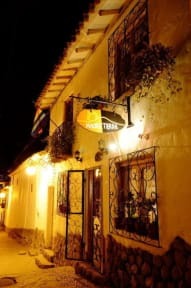 Hostal Madre Tierra i Cusco, Peru: Reservér nu! If there is a need for having lunch and dinner in the Hotel, there is the psoibility to make a reservation for it 5 days in advance! The tour desk can arrange various visits and around Cuzco, such as trips to the Sacred Valley and Machu Picchu treks. An American breakfast is served each morning in the dining room. It is located just A few minutes walk from many bars and restaurants where you can dine and enjoy the Cusqueñian night life. Just along the street from the house. There is the famous San Blas. 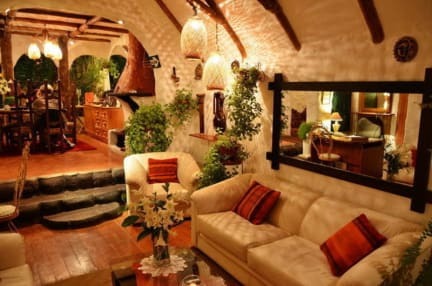 The Madre Tierra Hostal offers free shuttle service in both directions to the airport, located 3 km from the front door. In the local area you can find free walking tours, restaurants, bars and artisan fairs. Can accommodate children of all ages. 1 child older children or adults are charged USD 19 per night and person in an extra bed.